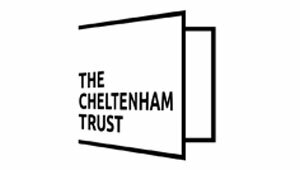 In January 2018, the team worked with journalist Emily from Period Living Magazine, providing information on visiting Cheltenham as part of their ‘Out and About’ feature, which highlights a particular town or area for its heritage. The feature includes places of historic interest, as well as details on where to stay, shop, eat, things to do, events through the year and anything else of interest. The feature, which is in the April Issue, was published at the end of February 2018, saw Marketing Cheltenham put together a recommended itinerary for Emily, as well as facilitating her stay at No.38 The Park and dinner at 131 The Promenade. as well as of course all the heritage architecture and historical sites on offer in our town. The feature also included a pull-out about Sudeley Castle and Gardens, with Cheltenham heralded as the perfect place for your base to explore the wider area. A huge thank you to all the members, businesses and individuals who help make these trips so fantastic!